We present to you a special issue of the Oz Puppetry Email Newsletter (O.P.E.N.) dedicated to UNIMA Australia Life Member Axel Axelrad, who passed away on 13th November 2018 aged 99 years. O.P.E.N. was a free email puppetry newsletter edited by Julia Davis and Richard Hart (Dream Puppets), and ran from 2010-2015. Julia and Richard reopened the newsletter for this special edition, and we thank them for their considerable efforts in compiling this very important record of Australian Puppetry history. Thank you to everyone who also shared their stories and memories about Axel. You can read this issue in two parts, by clicking on the links below. 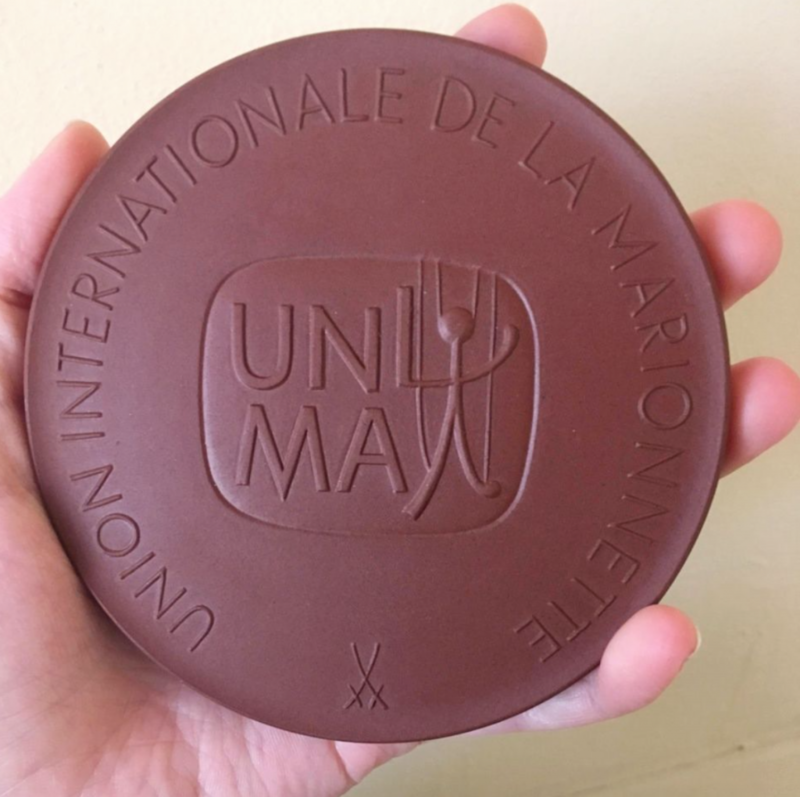 As a Life Member, Axel Axelrad was also presented this medal by UNIMA International for being a Member of Honour of UNIMA. This entry was posted in Uncategorised on Fri 25 Jan 2019 by Katherine Hannaford. Error: Error validating access token: Session has expired on Tuesday, 26-Mar-19 01:31:00 PDT. The current time is Tuesday, 23-Apr-19 05:43:48 PDT.